This pine cone ceiling light will add that finishing touch to your rustic decor with 3D pine cones in your choice of finish and lens color. Made in the USA. 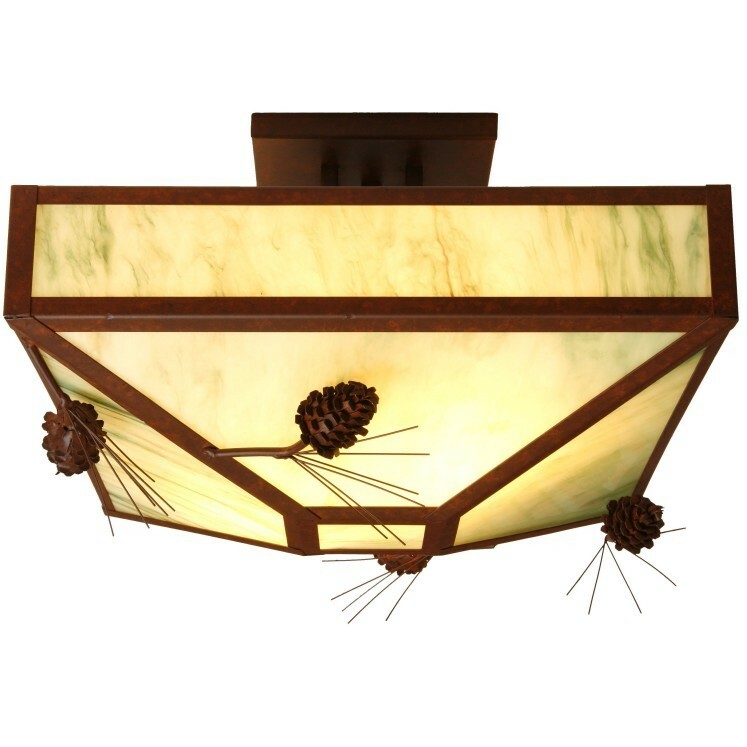 This pine cone ceiling light will add that finishing touch to your rustic decor with 3D pine cones in your choice of finish and lens color. The Ponderosa Pine 4 Post Drop Ceiling Mount measures 20" W x 20" L x 12" H and it uses four 60 watt regular base light bulbs. Made in the USA.